Wedding music was rendered by Brian Darnell, of Greenville, and Matt Kelley, of Greenville. Leigh Allison Kelley and Kristen Bellflower served as directors of the ceremony. Attending the guest register and programs were Tori Cooper, CJ Kennedy and Caroline Stahlsmith, cousin of the bride. The former Miss Williams is the daughter of Vicki and Matt Williams, of Greenville, and granddaughter of Doris and Buddy Nelson, of Greenville, and Tallula Williams, of Conway. The bride is a 2017 graduate of Clemson University with a BS degree in Nursing and is employed by Greenville Memorial Hospital. Mr. Craig is the son of Sheryl and Larry Craig, of Lexington, and grandson of Patricia and Joey Welsh, of North Augusta. A 2015 graduate of Clemson University with a BA degree in Political Science, he is employed by The Boardman Group and Grace Church. Attending the bride were Causey Williams, Lail Williams and Laurel Williams, sisters of the bride, as maids of honor, and, as bridesmaids, Sara Brunson, Hayley Cheek, Olivia Craig, sister-in-law of the groom, Eliza Geary, Tiffany Hwang, Caroline Ratchford, and Elleson Stahlsmith, cousin of the bride. They were joined by Meredith Crenshaw, as honorary bridesmaid, and Maggie McAlister, cousin of the bride, as flower girl. Attending the groom were his brother, William Craig, as best man, and, as groomsmen, Brent Hildebrand, Connor Mitchell, Eric Monroe, Ryan Quiat, John Swetenburg, Richard Vaughan, Philip White and Micah Williams, brother of the bride. Boaz Williams, cousin of the bride, stood as ring bearer. A reception was held at the home of Dr. and Mrs. Trecy Watson. Music was provided by Blake Ferguson, Timothy Hogue, Brendon McGlohan, Spenser Parnell, Blake Payne and Connor Perkins. 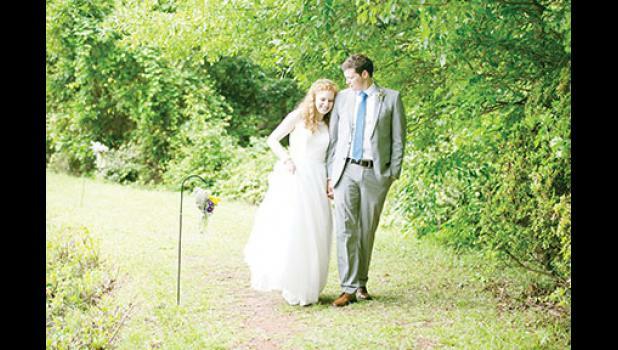 The newlyweds traveled to Northern California and Nevada and are residing in Greenville.